Global knives are also used by all Rick Stein’s restaurant employees. Global knives are made of the finest stainless steel and their razor sharp blade stays sharp longer than other steels. The hollow handles are weighted for the perfect balance. There are over 100 global knives available for every possible task. 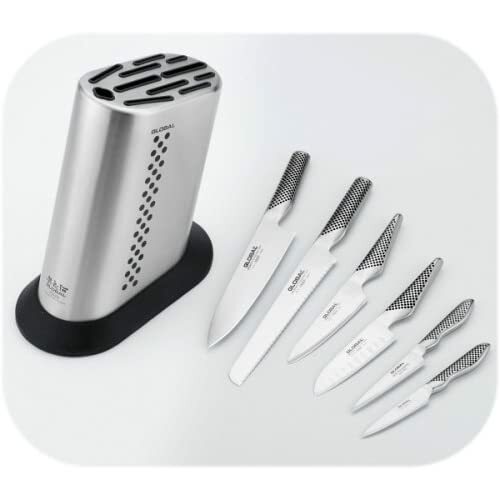 From standard vegetable knives to bread knives, boning knives, butchers knives and many more. All the global knives have the distinctive global handle design. This is a You Tube clip showing how to carve a chicken using a global knife. What how easily and precisely the knife cuts through the chicken.